The advantage in engaging Playscape Creations is that our expertise lies entirely in house, allowing us to take a job from design right through to opening. By being able to work independently to provide a detailed design, as well as work in conjunction with architects and planners gives Playscape Creations a level of understanding at the earliest possible stage of the project. Working from this early stage ensures that the most efficient design process is used from the beginning. We incorporate both in house technical expertise along with a network of industry leading professionals in Civil/Structural, Electrical and Hydraulic engineering. This design team is able to coordinate with the ‘Concept’ team to produce project prototypes in the most efficient manner and provide the client with a design as well as a construction plan. 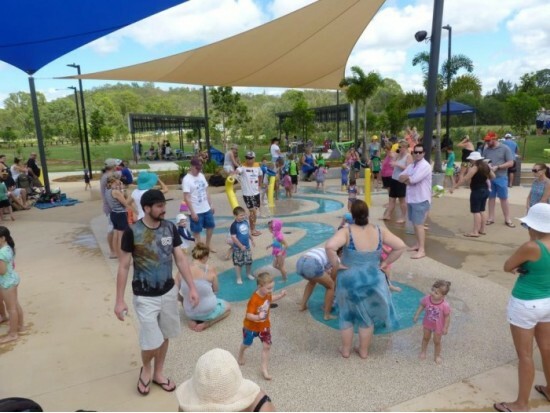 With first hand technical experience across a wide range of projects, Playscape Creations are able to take the given design to the Construction phase, carrying right through from civil works, to plumbing and plant room fitouts. With a number of highly trained and experienced technicians, we are able to produce a superior finished project. The opportunities are endless! Featuring a host of different age appropriate activities, our Aquatic Playscape designs consider the best use and best placement of products to create a well thought out arrangement providing maximum results for the space and financial resources. With areas designed specifically for interactive sensory play, Aquatic Playscapes improve public space and provide an ideal setting for family recreation. and download our Corporate Aquatic Profile here.